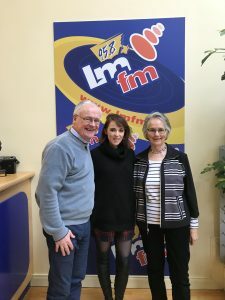 Radio interview on LMFM with Survivor Advocate, Aoife Moggan, who dealt with cancer in her childhood and the difficulties she now faces in her early thirties and why she and Dr. Julieanne Byrne are advocates for CanCare4Living. The interview with Aoife and Julieanne runs from the start of the broadcast. Join CanCare4Living at our Drogheda Roadshow event on Thursday, 24 January 2019 at 7 pm in the Westcourt Hotel, West Street, Drogheda, Co. Louth.